As it turns out, science tells us that stories are far more than just entertainment. Besides the fact that we have a primordial connection to stories, they are also a survival tool that has been helping us organize information and make sense of the world since the origin of man. Storytelling is hardwired into our DNA. It’s part of what make us humans. Stories are the way we experience the world. Stories help us organize information and label some things as good, and other things as bad. A hungry caveman wandering the hills sees a white mushroom. He’s hungry and thinks that mushroom looks pretty good to eat. Should he eat it? He recalls a story about a caveman who ate a white mushroom and got sick and decides not to eat it. Our brains are better at recalling information in the context of a story. Stories are woven into everything we do. We make up stories about people we see on the streets. When we talk to our friends, we are telling stories. 92% of consumers want to internalize ads in the form of a story. We talk about how our day went by telling stories. A favorite human pastime, gossip, is telling stories about other people. And (it should come as no surprise to marketers) we are avid consumers of stories in the form of books, television, movies, and even art. We even dream in stories. Much like the mushroom example, dreams let us live out simulated stories. They allow us to experience risky situations without putting ourselves in danger. Stories activate more of our brains than other communications. Written communication activates our language centers that interpret information. Video storytelling is powerful because our brains treat on-screen moments the same as real moments. But stories activate every area in our brains that we would use if we were living the story. You experience emotions just as real as if you were in the story. Your body produces the same chemicals as if you were actually living the story. And everyone hearing the story experiences those same emotions. That means that when someone hears a good story, they literally internalize it. It becomes their story. Humans respond to story on a basic biochemical level. It’s impossible to overcome. Why do we respond to story this way? Stories mirror the way we think about the world. Stories are structured and appeal to our need for pattern recognition (beginning, middle, end). Stories are chronological rather than categorical – which is the way we experience things in our day to day life. Stories are also easier to tie to our senses, which in turn helps us categorize and store information. Statistics, numbers, charts – by themselves these are abstractions. They don’t play into our day to day experiences. Mathematics, logic, and the scientific method are all relatively recent human inventions, but stories go back to our origin as a species. Stories drive emotion, but emotion drives action. We’d all like to think that we make decisions on a rational basis most of the time, but the science tells a different story. Studies have shown that patients who have damaged emotional centers of their brain have difficulty making decisions. Even simple decisions, like what to eat for lunch. We can’t make decisions without emotions. The author of a study about emotions and decision-making, Dr. Antonio Demasio, recalls a patient who spent over 20 minutes weighing the pros and cons of scheduling his next appointment on a Tuesday vs. a Wednesday. 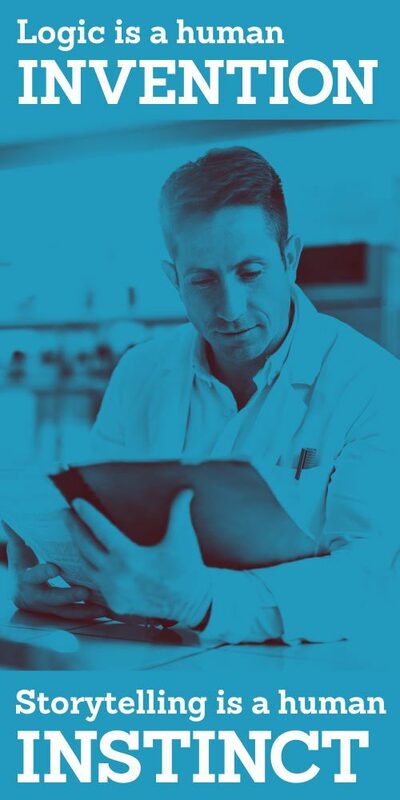 Patients would weigh the logical arguments back and forth at length, but were stuck in decision paralysis, never quite getting over the hump to make a decision. The moral of the story: Emotion is what allows you to mark things as good, bad or indifferent. It’s critical in the moment of decision. While logic does inform the decision making process, we are deciding not based on the actual facts and logic of a circumstance, but rather based on how those facts and logic make us feel. 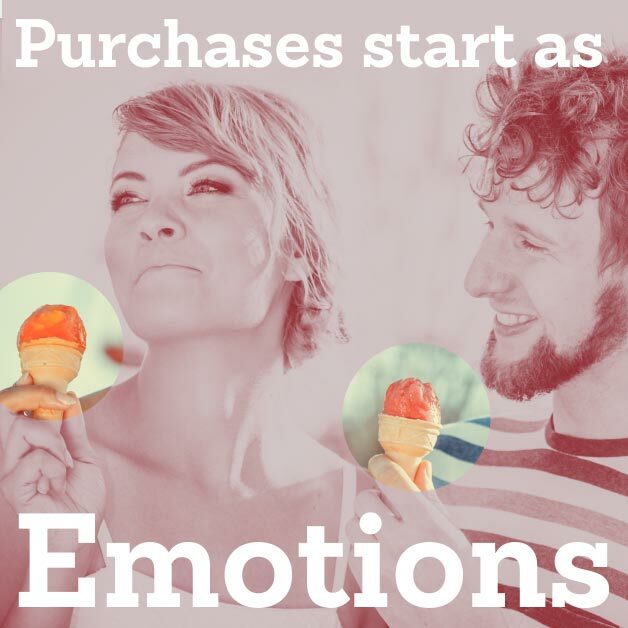 In fact, emotion can be such a powerful factor in decision making that it can affect the entire economy. Researchers found a significant correlation between the stock market’s performance and the weather. On sunnier days, the market performed better. And on cloudy or rainy days, the market dipped. Studies have shown that people are better able to retain information when they are in an aroused emotional state. This is especially true for personally salient information. So if your story is relevant to your audience’s life, you have a great chance at creating a lasting impression. Emotions also narrow our focus. We are much more likely to tune into content that evokes an emotional response and tune out distractions or other things happening around us. Think about the last time you heard someone (a politician maybe?) quote a block of statistics. Can you remember all of them? Any of them? How specific could you get? What about the last time someone told you a story. Could you retell it? To sum it all up: A good story evokes emotion. Emotion drives action. 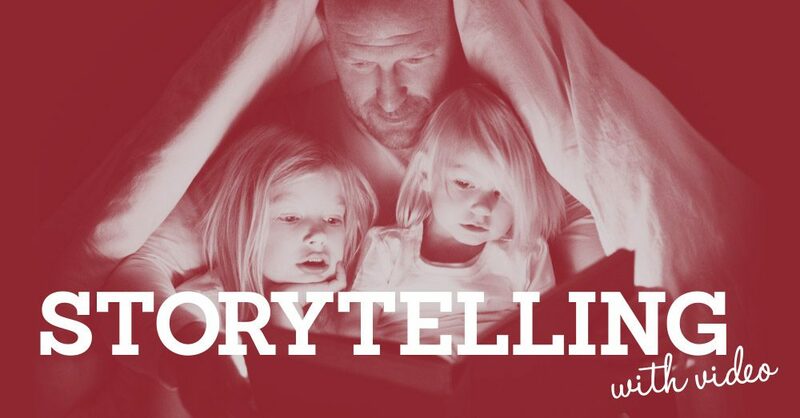 So how do you use storytelling in your marketing? 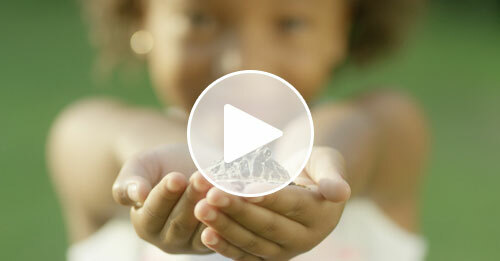 Video-based storytelling marketing is one of the most effective ways to tell your brand story. But before even thinking about creating a video or writing a video script, you need to start with the basics of the story you want to tell. Your story is really your audience’s story. Find out what they want to hear, and give them a reason to care. When your audience get invested in the story, that’s what starts all of the beautiful (and useful) brain chemistry we talked about. 2. Have a good solid structure. You need a beginning, a middle, and an end. But you also need rising action (complications) and a sense of pacing. In this commercial for Kodak Alaris, we use a series of micro-stories with a twist to showcase the app. Your message is the theme of your story. Don’t force feed it to the audience. They will feel smarter and therefor more invested if they connect the dots themselves. You want the story to be easy to process if you want those neurons in the emotional center of the brain to fire. Don’t let the language centers take control. Let your audience imagine the details. You don’t want them resolving an internal conflict over where the mushrooms were growing. You want them to be lost in the moment. Instinctually, they want the story to become their story. That means they need to be able to repeat it. Make it too complex and they will get frustrated trying to remember the details. The instinctual brain can work against us too. If we evoke a fight or flight response, the brain is suddenly on guard. It’s trying to resolve a conflict instead of retaining the information we want to pass on. If you don’t evoke emotion, you don’t get the full primordial power of story.